It's always better to get your antioxidants from food rather than a pill, and superoxide dismutase, or SOD, is found in a variety of different foods. However, your body is unable to metabolize and absorb the SOD from the food you eat, according to 2006 article published in The Austin Chronicle. But the healthy food sources of SOD contain nutrients that promote the workings of your body's own SOD. SOD is an enzyme naturally found in every cell in your body and is considered one of the most important antioxidants, according to Dr. Mark Rosenberg from the website Foodtrients. Its primary role is to protect your cells against the cell-damaging free radical superoxide. As you age, the amount of SOD in your body decreases, says Rosenberg. However, filling your diet with foods that contain nutrients needed for the production of SOD may help improve your levels. 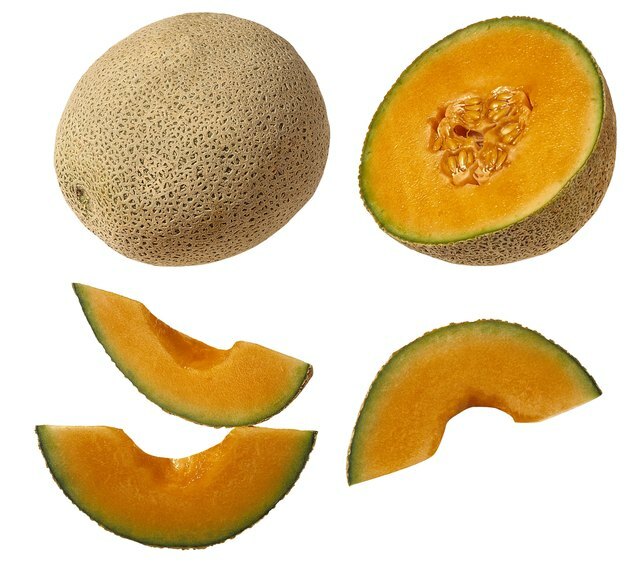 Both honeydew and cantaloupe melon contain high amounts of SOD. Although your body is unable to use the SOD in these fruits, they are also excellent sources of vitamin C, which may help up your production of the super antioxidant. These fruits also contain small amounts of copper, zinc and manganese, which are trace minerals your body needs to make SOD. The cruciferous vegetables broccoli, cabbage and Brussels sprouts are naturally rich in SOD. They are also excellent sources of vitamin C and contain small amounts of essential trace minerals that boost SOD production, including copper, manganese and zinc. For overall good health, you should try to eat at least 1 1/2 cups to 2 cups of dark green vegetables a week, says ChooseMyPlate.gov. In addition to the healthy food sources of SOD, be sure to include foods rich in the necessary trace minerals. Up your zinc intake by eating more oysters, lobster, chicken, chickpeas, cashews and peas. Good sources of manganese include hazelnuts, tofu, pumpkin seeds, mussels and spinach. Grains, beans, nuts and potatoes are all good sources of copper. Foodtrients: SOD: Do You Know About This Powerful Antioxidant?